Check out this sick skateboard graphic from one of our customers. The detail came out so nice and you can see that the artist that made the skateboard graphic had a good idea on what is involved with skateboard printing. The art has extra detail that keeps you checking out the deck from nose to tail. 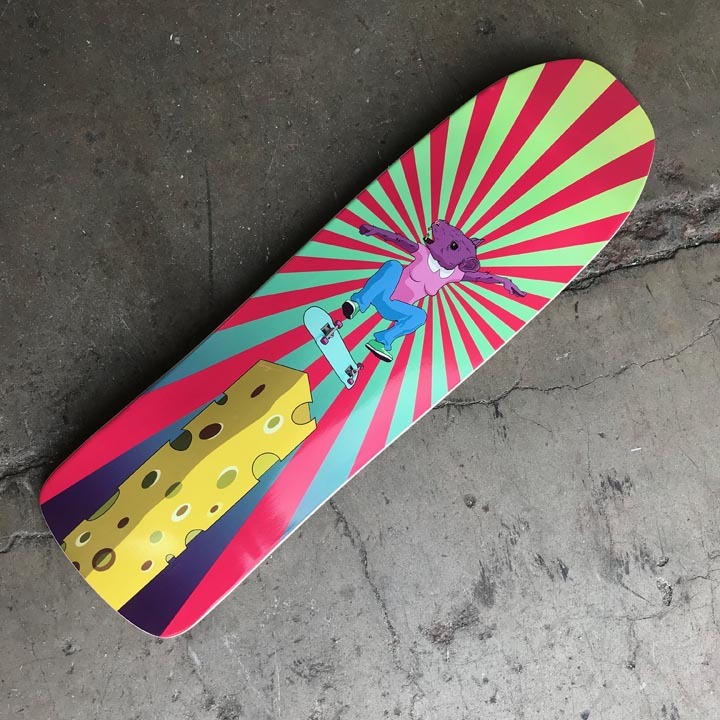 Customskateboards.com works hard as a team to deliver high quality skateboards at the lowest price in the industry when it comes to American Made Skateboards. We even beat out any other skateboard print shop. Even with other shops using decks they don't make to print for you they have a hard time keeping up.